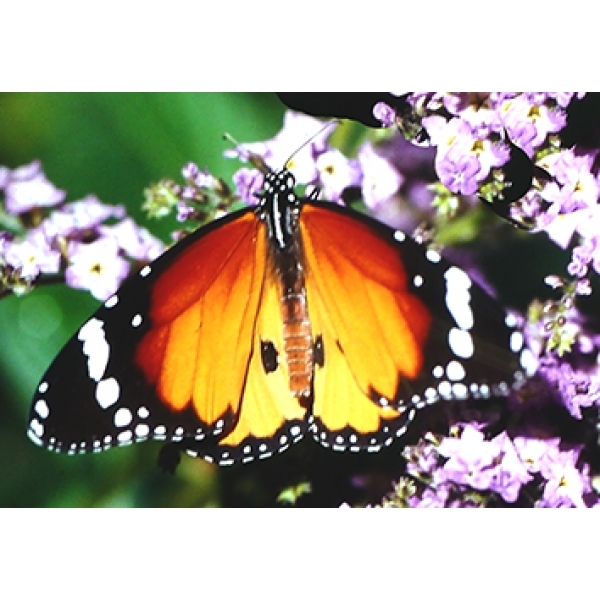 A close relative of the Monarch or Milkweed Butterfly Danaus plexippus. 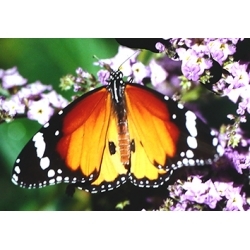 This continuously brooded butterfly likewise feeds on Milkweeds Asclepias and Silkweed. There is some similarity also in the appearance of the larva and pupae of the two species. The male has a patch of scent scales androconia on one of the hindwing veins and this is a useful way of distinguishing the sexes.